Though fundraising is a serious task, put some fun into it! I also asked friends and family for donations. I made a GoFundMe page. I asked local musicians to provide music for my benefit concert. 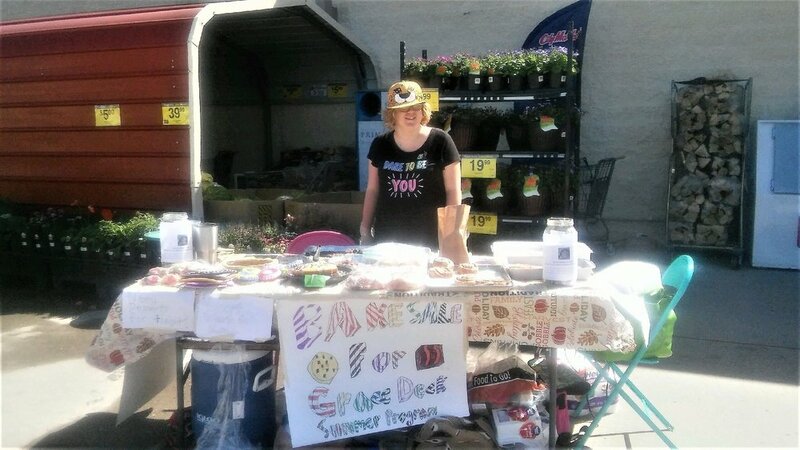 My mom, friends, and I made snacks to sell and I did bake sales in front of my local grocery store. When you’re fundraising, you need to get the word out – who you are and why you're fundraising. People need to be able to trust you so they know their money is going toward what you said. Always thank your donors and sponsors in some way – whether it's with a card, video, poster, etc. You should also always be kind and thoughtful to your donors/sponsors. The most important thing you can do is make a video or letter to show your donors/sponsors what you learned at the Summit they helped you reach. If you are a superstar fundraiser like Grace, email ideas that worked for you to info@ambassadorleaders.com. Grace is an alum of 2017 Leadership Summit at UCLA. She is a 10th grader from Hotchkiss, Colorado. Older PostAlumni Spotlight: Jende U.